PRAISES THE DIFFERENCE. Facial and body treatments that focus on the expertise of beauticians and therapists using a holistic approach. A method that highlights all the technicality and art of touch, targeted and precise for maximum efficiency and immediately visible results. 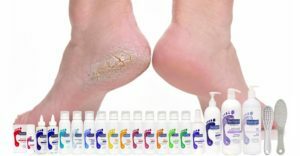 Footlogix Pediceuticals is a revolutionary and innovative foot care product line formulated to provide effective and transformational care to treat a variety of foot skin conditions – from simple dryness to more serious diabetes-related disorders. North American School Of Podology pedicure instruments are made of world-renowned Solingen stainless steel. They are made of cobalt stainless steel and can be chemically sterilized, autoclaved or placed in a dry heat oven without damage.